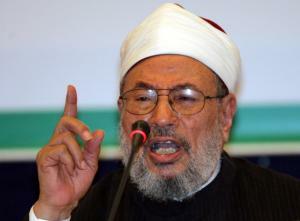 During his May 2013 visit to Gaza, prominent cleric Yousuf Al-Qaradhawi, head of the International Union of Muslim Scholars (IUMS),expressed his support for jihad and martyrdom, saying that he prays to die as a martyr. Also during this visit, Ibrahim Al-Madhoun, a columnist for Hamas’s mouthpiece Al-Risala, published an article in which he discussed an introduction written by Al-Qaradhawi in 1997 for a biography of ‘the Engineer’ Yahya ‘Ayyash – the Hamas bomb maker who was responsible for several large-scale terrorist attacks in 1994-1995. In this introduction Al-Qaradhawi heaped praise upon ‘Ayyash, calling him a paragon of faith and an emblem of heroism. Al-Madhoun wrote that this introduction reflects Al-Qaradhawi’s important role as a supporter of the jihad in Palestine. The following are excerpts from Al-Qaradhawi’s introduction to the ‘Ayyash biography, from Al-Madhoun’s article about this introduction, and from Al-Qaradhawi’s recent statements in Gaza. The biography, called ‘The Engineer and Martyr Yahya ‘Ayyash – An Emblem of Jihad and Resistance in Palestine’, by Ghassan Daw’ar, was published in 1997 by the publishing house of Hamas’s magazine Filastin Al-Muslima. Al-Qaradhawi begins the introduction by explaining that people fall into several categories: those who are chiefly concerned with their own physical needs, those who are motivated by a lust for power, those who hunger for wealth, and those who have no goal whatsoever. However, he adds, ‘there is also a select group of people who do not make this world their chief concern or the ultimate [subject]of their learning. We also reported that during Qaradawi’s visit, the Egyptian Muslim Brotherhood held its first ever anti-Israel rally since coming to power, surely no coincidence and likely an attempt to avoid being upstaged by Qaradawi. The JCPA also published a nice summary of the visit.